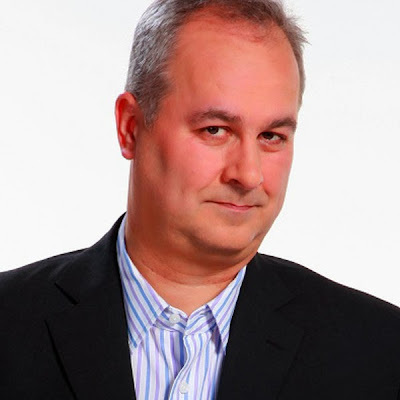 LBC 97.3 Drive Presenter, Iain Dale, will be Host / Moderator at the Tonbridge and Malling Open Primary on Saturday morning. Iain will be putting the four final candidates through their paces before members of the audience are invited to ask their own questions. 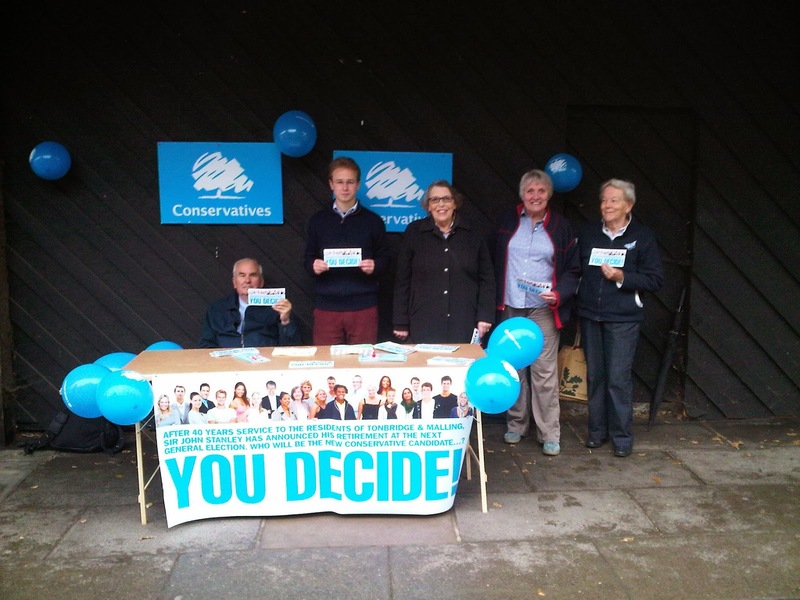 The timetable for the morning has now been published by Tonbridge & Malling Conservatives. Short film: "A Week in the Life of a Member of Parliament"
Registration is still open; if you are resident in Tonbridge & Malling and would like to attend, please email your name, address and contact telephone number to tmselects@gmail.com or phone 01732 842794. To vote in the Open Primary you must be 18 years of age or over. 16 / 17 yo's are welcome to attend as "observers" but they must also register. It will not be possible to access the building unless your name is on the pre-registered list. when asking your Trades Union Paymasters to help write your latest press release, be careful not to send your email to a Conservative activist in error. Not only does it make you look slightly careless, inept even, it also provides further evidence that you are under the control of the Trades Unions (who are, after all, financing your campaign). Good to see you both last night. I am keen to do a presser on the TA stuff so if you do have any stats or drafted presser's get them over. I'd be keen to add any comment from GMB onto any Medway Labour Living Wage press release as well. Participatory democracy isn't dead - it just needs reviving! 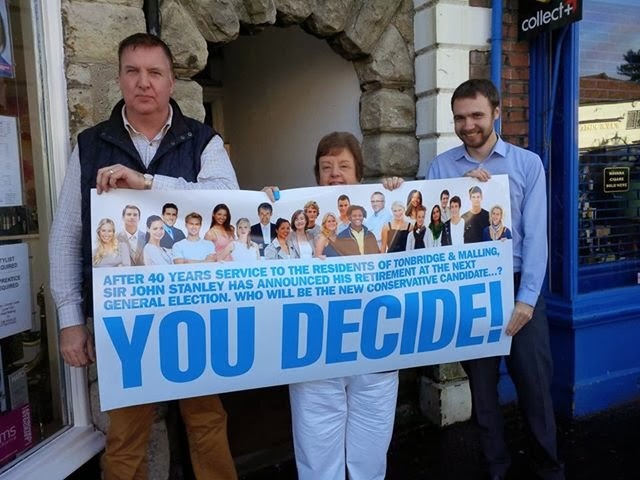 Several months ago, when news of Sir John Stanley's retirement was spreading, but before the Association had even started discussing arrangements for the selection, I received a call from a resident urging us to hold an Open Primary. The caller wasn't known to us; he wasn't a member or donor (at least not since I have been agent) and I had never met him. He was a businessman who obviously cared about politics and the democratic process. He spoke eloquently and passionately about opposition voters in "safe" seats being effectively disenfranchised and the need for all parties to re-engage. At the time of his call I had already convinced myself of the need to open-up the process but I had not raised the proposal of an Open Primary with any others, apart from a few close confidants who I use as a sounding-board. This man's call encouraged me to do so. When the Open Primary was subsequently approved (and let me stress this - it was approved unanimously by the Management Committee and by over 90% of the Executive; it was not forced upon us by CCHQ or anyone else!) he wrote again to congratulate us. 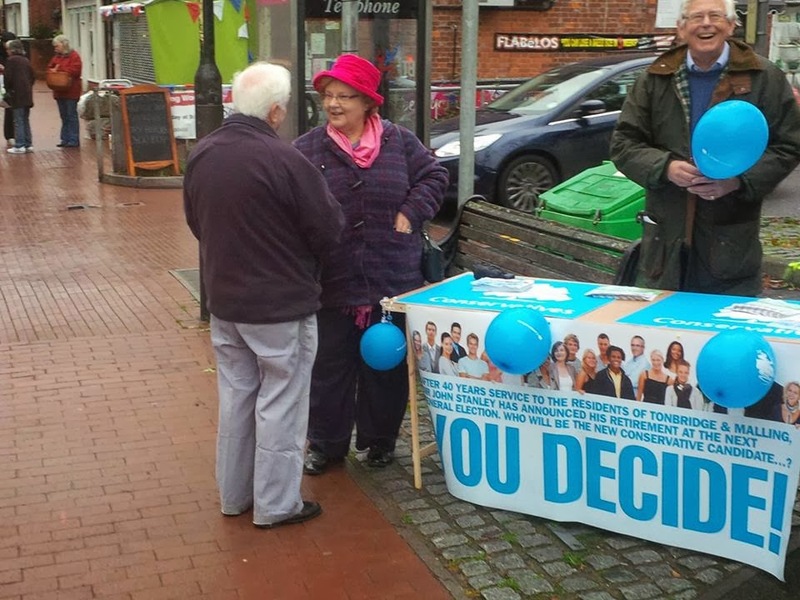 He then drove around the various street stalls a week last Saturday to meet the candidates, finally catching up with me on Tonbridge High Street. We spoke in general terms about the process and what we hoped it would achieve and he said he looked forward to attending and casting his vote. Then yesterday, this letter arrived along with a very welcome donation towards our costs. Obviously I have removed any personal information. If any more evidence were needed that Open Primaries are not only more democratic, but also able to bring people into the process who were not previously involved, then this is it. I have no idea if this resident will join or donate again; that is almost irrelevant. And his donation, however generous and welcome, has only covered small part of our costs. What this represents however, when taken with the fact that over half of those attending are not paid-up members, is that participatory democracy is not dead. The interest is still there - we just need to find the language and the message to reignite the flickering embers. Twelve different ballot papers ready to go; covering each potential eventuality and outcome. Resident and Observer Information Packs printed and packed. Websites updated with Candidates' Personal Statements. 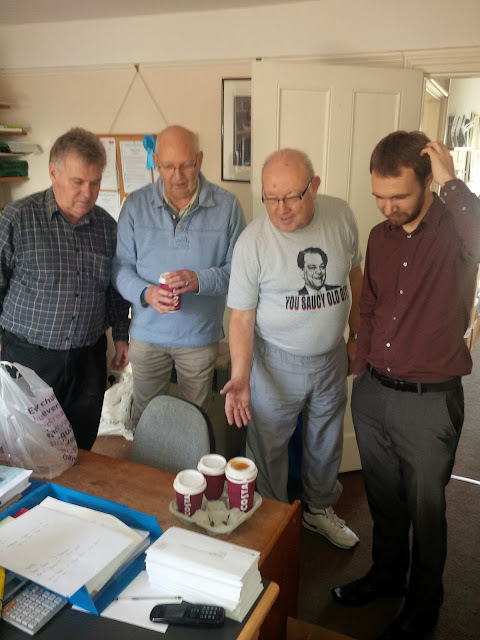 West Kent Towers is over-run today with the "crème de la crème" of our volunteers, as we print thousands of ballot papers and pack hundreds of Information Packs for attendees at Saturday's Open Primary. Here are the "dream boys" who appear to be "confused" over the distribution of the coffee. This was published on the official tmselects.blogspot.co.uk a few moments ago. 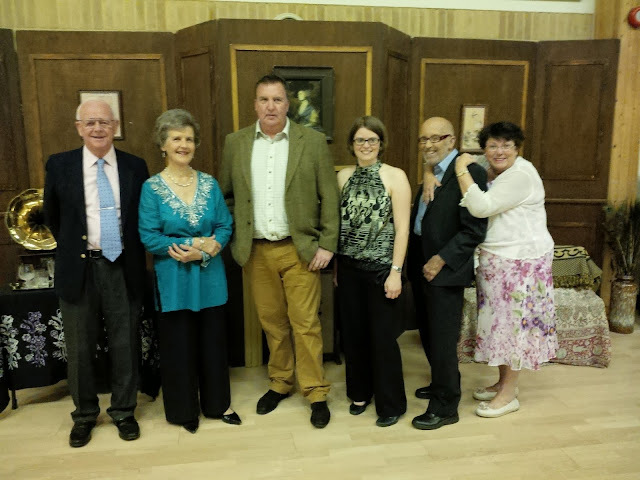 The Tonbridge & Malling Conservative Association is pleased to publish details of the final four candidates, along with their personal statements. 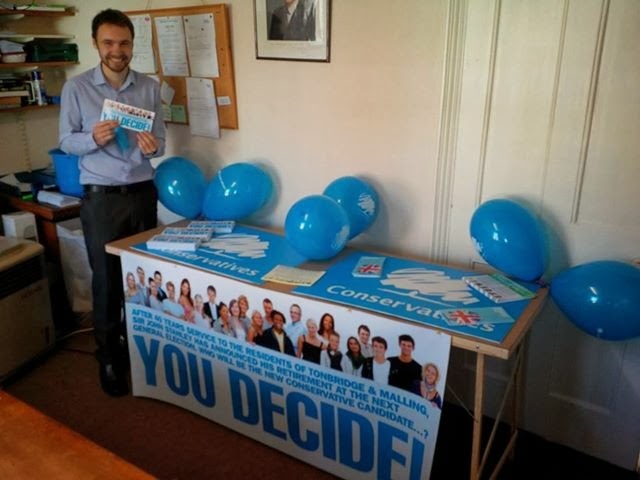 If you are resident in the Tonbridge & Malling Constituency and would like to attend the Open Primary (where the final candidate will be chosen) please call or email the Conservative Association Campaign HQ to register. You must be on the electoral register and aged 18 or over to vote at the Open Primary. If you are under 18 you are welcome to attend as an observer. To find out more about why we are holding an Open Primary, and how you can make a difference, please click HERE. The Executive have shortlisted; now it's time to Let The People Decide! Today was the penultimate stage of the Tonbridge & Malling selection contest, when the shortlisted candidates were interviewed and reduced to four finalists, who will appear at next week's Open Primary. It was a long day. I was up at 5.30am and in my office at 7am, collecting paperwork and supplies to take to T&MBC Council Chamber, where the meeting was being held. (For the record, we paid T&MBC a commercial rate to hire the facilities). The caterers (aka Joyce Gadd and the Aylesford branch committee) arrived at 7.45am to prepare morning coffee, and they kept us supplied with drinks, sandwiches and delicious home-made cakes all day. Members of the Executive arrived at 8am for a briefing and the interviews commenced at 9am and continued until the final candidate was seen at 6pm. It was a long day, but the quality of the candidates, the constant supply of delicious food and the intelligent and considered questioning, kept everyone alert and involved. The complex and thorough evaluation / scoring matrix ensured each applicant was considered across a demanding range of criteria. This process resulted in the back-stage team inputting up to 560 marks for each candidate. 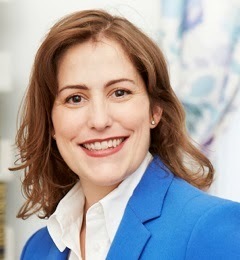 I am hugely grateful to my friend and colleague, Ginny Heard (who is Nicholas Soames' agent from Mid Sussex) for taking on the lion's share of the data-managing. As the day wore on it was obvious how outstanding the field was; any one of the applicants would have made an wonderful final candidate and, with the support of the public, a first rate MP. I would like to thank all the candidates for their courtesy, dedication and hard work throughout the process. The rules, however, stipulate a maximum of four in the final and so the top four went through. I was grateful today that I wasn't one of those having to choose; it would have been an honour to have found myself working as agent alongside any one of the shortlisted candidates. So there we have it. The penultimate stage is over, we have our finalists and in one week's time we will have our new parliamentary candidate, chosen by the people of Tonbridge & Malling at an open, inclusive and democratic Open Primary. Now it's time to LET THE PEOPLE DECIDE. Click HERE to see a list of final candidates. Further details, along with personal statements will be published on the www.tmselects.blogspot.co.uk website on Monday. Watch ITVs coverage of our Open Primary in Tonbridge & Malling. Scroll to 2 minutes 55 seconds. 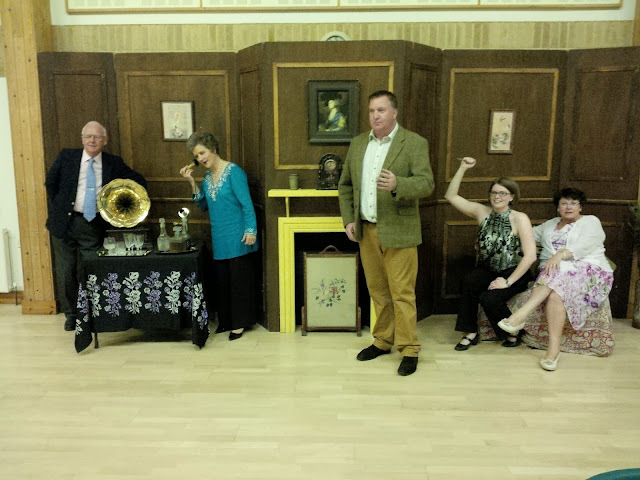 Last night was Chatham & Aylesford's Executive Council. Being C&A the venue for such meetings switch from one end of the constituency to the other, to ensure both "ends" feel involved. One month we are at the Church of Christ The King in Princes Park, where I deliver my report beneath a banner proclaiming "Listen To The Lord For HE Is Speaking Truth Unto YOU". Last night we were in Aylesford, in the small room above the Working Mens' Club, sandwiched between the bingo drum and the karaoke machine. Not for us the polenta-eating glamour of Islington. The meeting went fine; they always do. I have never known an Association so totally unaffected by personality clashes or internal politics. Everything the Association does is aimed at one goal; winning whatever election is coming up next. C&A is Kent's smallest Association in terms of membership, but they deliver more leaflets, knock on more doors and recruit more postal voters than most of the others combined. 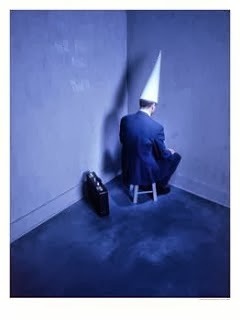 After the meeting one of the stalwarts asked for a "private word". "Andrew, how much will you need to fight the next election?" he asked. I gave an honest answer. I have known this particular member for 10 years, he is far from wealthy but he thinks the world of Tracey Crouch. I wondered what was coming next. He reached inside his pocket and pulled out his cheque book. "That's quite a sum, isn't it?" I could feel 25 pairs of eyes looking at me, desperately trying to see what was going on. I braced myself, not quite knowing what to say or how to react. I was sure he couldn't really afford such a donation, but he was in sound mind and who was I to question his generosity. Ever so slowly he opened his cheque book and riffled through the stubs. "...worth every penny to get her back in..." He stopped riffling and smiled. "Found it" he said. I tried to look on with enigmatic benevolence, not wanting to look too keen or hopeful. He called me closer and showed me a cheque stub. perhaps he had already sent in a cheque. The writing was in a shaky hand and I couldn't read it. "That, sunshine, could be the answer to the next election" he said. I explained that I couldn't quite read what was written. The tension was now unbearable. "It's the quarterly pre-payment for my National Lottery ticket, I promise you now, if my numbers come up, you will get every penny you need." "That's really kind of you", I said, managing to smile wanly. I returned to my seat. "What was all that about?" asked another member. "That meant we will still be holding lots of coffee mornings, jumble sales and quiz nights over the next 18 months," I replied, mournfully. There's nothing worse than being taken by surprise ! Just returned from Millbank Towers where we were briefed on how we can assist our target constituencies with General Election preparation. Now obviously I am not going to tell any secrets, but 10 minutes of the meeting was so surreal it felt as if I was trapped in a badly scripted Carry On film. What made it amusing was the main characters had absolutely no idea that what they were saying was in any way smutty or open to another interpretation. And the agony enhanced by how deadly serious the conversation was being taken, and how long it continued. For the naughty schoolboys on the back row, it really was the gift that kept on giving. "Now by now you should all know which of you are givers and which of you are receivers." Within nanoseconds I heard a snort of amusement from my left, as one of my two compatriots was making up his own jokes. I determinedly stared ahead, afraid that any eye contact would only make the situation worse. "Excuse me, but I'm from Surrey. Are we giving or receiving, I don't know what I am supposed to do", said a man two rows ahead. "We've always been receivers but suddenly we've been asked the change roles, and we're not sure about it" added a man in a pink shirt. "Well if you want my opinion, some of the receivers should show more gratitude for what they are getting. All they do is take take take and give nothing back in return," said an angry man with a puce face. We were assured that "roles would be developed locally, taking past arrangements into consideration". Apparently "no-one from CCHQ would force us into any role we didn't feel comfortable with." Finally it all died down. "Hello, I'm from (Xxxxxxxxxxxx). I'm worried about UKIP taking us by surprise from behind..."
"The problem you have, Andrew, is too many of the people you have to deal with come at you with an open mouth and a closed mind." We are now just three days away from the interviews, and the members, activists and many residents are very excited that we shall be one step closer to knowing who our new candidate will be. And the office staff are also very excited - because in one week it will all be over and some sense of normality can return to West Kent Towers. This post, however, is not about the finalists - it's about those who did not make the shortlist and how they have reacted, especially some of the local applicants who perhaps feel "let down" that they have not been chosen when they personally know the members of the selection committee. As ever, I am not going to identify any applicant, but the issue in general are worth examining. Firstly, I would like to acknowledge the gracious way the overwhelming majority of applicants accepted news that they had not been shortlisted. Most replied to our email, thanking us for the way we had run the selection and wishing us well. Several sent hand-written letters of thanks, something I never expected them to do, especially given the disappointment they must have felt. A small group neither acknowledged our email or made any further contact; often those who had been most demanding and pushy prior to the event! And (and to my surprise) one or two made snippy comments about what a tragic mistake we had made in not recognising their abilities. Several people have expressed surprise that the 'local' candidates did not perform more strongly. This, however, came as little surprise to me. Over my time I have presided (either as Agent or in earlier years as constituency Chairman) over five parliamentary selection contests; and on each occasion the local candidates do not perform as strongly as people expected or sometimes hoped. I think the reason for this is clear; local candidates fall into two categories. They are either the "favoured son/daughter" where there was never any real doubt that they would be selected. These, however, are few and far between. The majority are "one of many" local candidates, competing in wide open field, but each expecting their friendships or local roots to secure their advancement. And that, I believe, is the problem. Eleven years ago I unexpectedly found myself chairing Chatham, & Aylesford's selection contest when the constituency Chairman put his own name forward. We had long-list 16 names for interview over a two day period, which would produce a shortlist of six then down to a final line-up of three. By pure co-incidence, the Saturday after we had received the CVs but before a long-list was drawn up, I was speaking at a constituency training event in the East Midlands. One of the applicants, whose CV had caught my eye, happened to be from the neighbouring Association to where I was speaking. 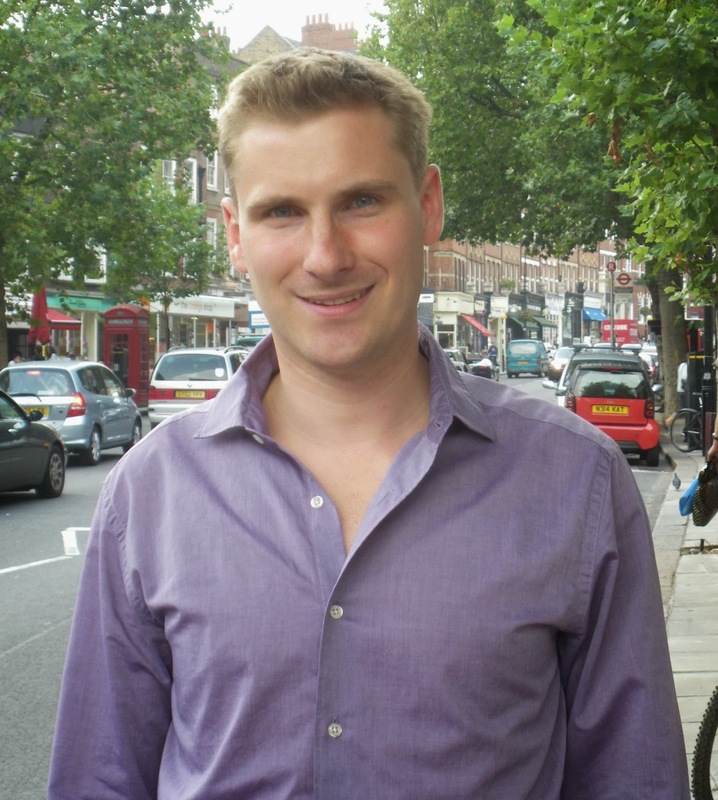 His CV was very strong; he had fought a safe Labour seat in 2001 and had done well, he had won his local council seat off Labour and had a successful career in business with many outside interests. Just the type of candidate any Association would probably like to interview. Over coffee I was sitting at a table with three long serving activists and I asked (without letting on that we were about to select a candidate) if any of them knew "Fred Smith" (obviously not his real name). "Oh him, bloody useless. 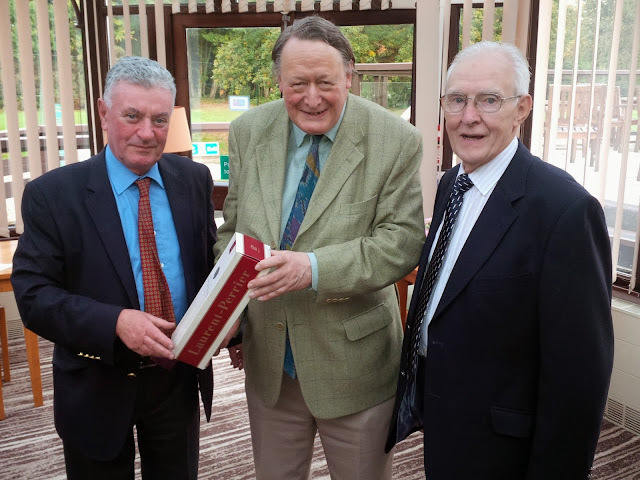 When he was branch Chairman he didn't raise a penny for the funds or recruit any members." The another piped-up, "Aye, he's on the Council with me. He speaks well, especially when there's a chance of a headline in the press, but he does the bare minimum and will never help out on committee if we are short or to cover illness." The third lady sat shaking her head in disgust, even though she subsequently admitted that she has never heard of him! The fact that "Fred Smith" didn't run a cheese and wine or recruit new members, or refused to take on additional work at the Council to cover illness, is no reason to assume that he wouldn't be an outstanding Parliamentarian. No-one had questioned his intellectual capacity, nor the service he gives his constituents. And in fairness, I cannot recall the last time Sir John recruited a new member, but he always agrees to attend a new members' event and does exactly what we ask of him in making new people feel wanted and welcome. As it happens, I ignored what I had heard and put "Fred Smith" forward for interview. I didn't want to let the vitriol damage his chances, and was sorry that I had asked for their views. He didn't progress beyond the first round, but I gave him a fair chance. Nor, indeed, did the constituency Chairman whose application had resulted in me being asked to Chair the process in the first place! And that, I fear, is why so often a local applicant will fall at the first fence. If a far-away Association was looking at their CV, they would be taken at face value and judged equally alongside everyone else. When they are local and known, their claims are analysed against reality and their weaknesses judged alongside their strengths. It is harsh, but unavoidable. As Sir Humphrey would have said, "That's courageous"
Yesterday, President of the European Commission, Herman Van Rompuy, subjected himself to a live Q&A session via Twitter. Now, I don't wish to be rude - but who on earth advised him to do that? Somewhat akin to Sarah Palin turning up at a Georgetown dinner party in search of donations? As Sir Humphrey Appleby would have said, "that's very courageous, Minister." Here are some of the highlights or lowlights, depending on your view of President Van Rompuy. "There's a photograph of you and Jon - with a little old lady in between!" Just received a call - "have you seen Dan Hannan's blog on the Telegraph website?" Me, "no, why?" "There's a picture of you and Jon - with a little old lady in the middle!" And here it is: totally unexpected - but thank you to Dan Hannan for all his is doing to raise awareness of what we are trying to achieve. 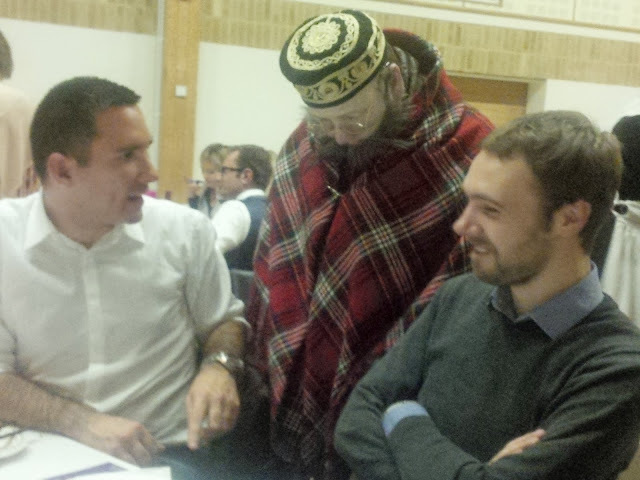 Parliamentary Candidates' Assessment & Campaign Day - in pictures! As regular readers will know, yesterday (Saturday 19 October) was the Assessment Day for our parliamentary candidates. We had Street Stalls in the five major shopping areas, each with two PPCs and three members of the Executive Council, who will be responsible for the shortlisting, Following lunch, we regrouped for canvassing in Tonbridge, with each candidate being accompanied by a different member of the Executive. The candidates were all first rate, gamely smiling in the pouring rain and drumming up support for the Open Primary. I have said it before and I shall say it again, we are fortunate to have so many outstanding people on the parliamentary list. Our volunteers also did all that was asked of them, and more. They turned out at 8.30am for briefings, collected supplies, set-up the stalls and worked all day. Over 50 activists were involved in one way or another, throughout the day. Thanks you to everyone who worked so hard to make the day a success. Despite the activity around T&M with the parliamentary selection, it's important to remember that political life continues across the West Kent Group. Greg Clark MP and the campaign team were out and about on the doorsteps of St Mark's in Tunbridge Wells on Saturday morning, whilst in C&A Tracey Crouch and her team were campaigning in Chatham and this was followed by the annual Snodland Quiz Night. The Tonbridge & Malling v Tunbridge Wells Golf Tournament took place today at the Poult Wood Course in Tonbridge; and the visitors won by a good margin. Congratulations to Tunbridge Wells, and their Team Captain, Peter Dunlop. And bad luck to Allan Sullivan who captained the T&M team. I have always thought that I *should* play golf. 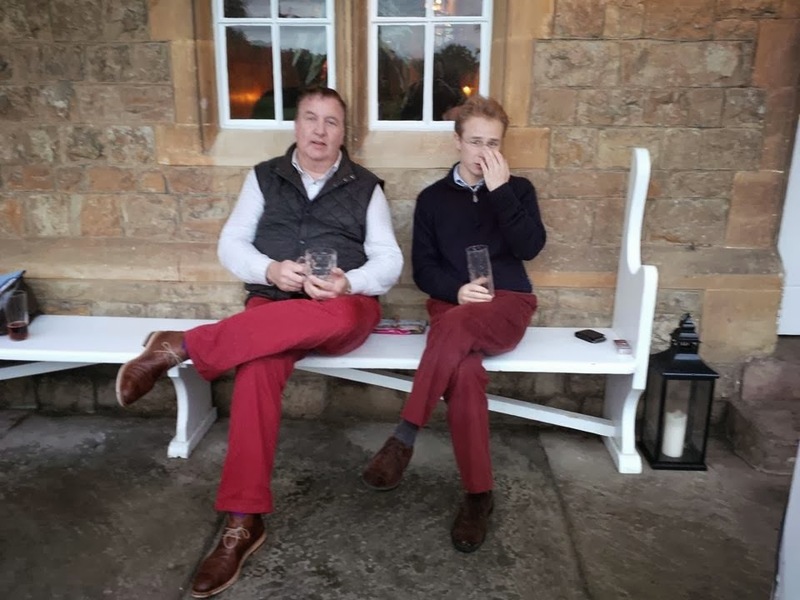 I drink large gins with tonic, drive a Jaguar, read the Daily Telegraph, I can happily bore the back leg off any donkey with my views on why the world is going to hell in a handcart - and I wear wanky red trousers by choice. An ideal candidate! The only thing that stops me is the thought of mixing with other golfers. OK, there are exceptions (including many who were there today) but good gracious me, they can moan! "The course was too short", "the veg was overcooked" "the wind was blowing in the wrong direction", "the plates weren't warmed", "I had brought the wrong coloured raffle tickets", "the pastry on the beef pie was soggy", "the custard served with the sponge pudding was too watery", "why wasn't wine included with the meal price", the coat hanger provided in the changing room was too narrow", "the red wine was thin and the white wine too cold". When I announced that Sir John Stanley was coming to present the winning team captain with his prize, they started moaning about that, too. Apparently they had been promised Tracey Crouch and "she has better legs than Sir John Stanley". Never having seen Sir John's legs I was unable to comment (though I found it hard to argue). Regardless of what non-golfers might think, I came away convinced that golf was a perfect example of Socialism. I have never quite witnessed such an "equal sharing of misery". HEY! Teacher, leave them kids alone. If you are a teacher, who is about to strike, and wishes to try and intimidate your local Conservatives by threatening that you will not only "never vote Conservative again" but will also "campaign aggressively against you at the next election," do be sure to check that the three emails you send (using the schools email system and during work time) do not all end up in the same Conservative Group Office. It somewhat undermines your credibility when you claim to live in Tunbridge Wells, Tonbridge and Chatham constituencies, at the same time! And, of course, your willingness to lie and manipulate totally undermines your professional standards. Stalling on the streets of Malling ! Today Jon and I were putting the finishing touches to the arrangements for the Street Stalls, which will be taking place across the constituency this coming Saturday. 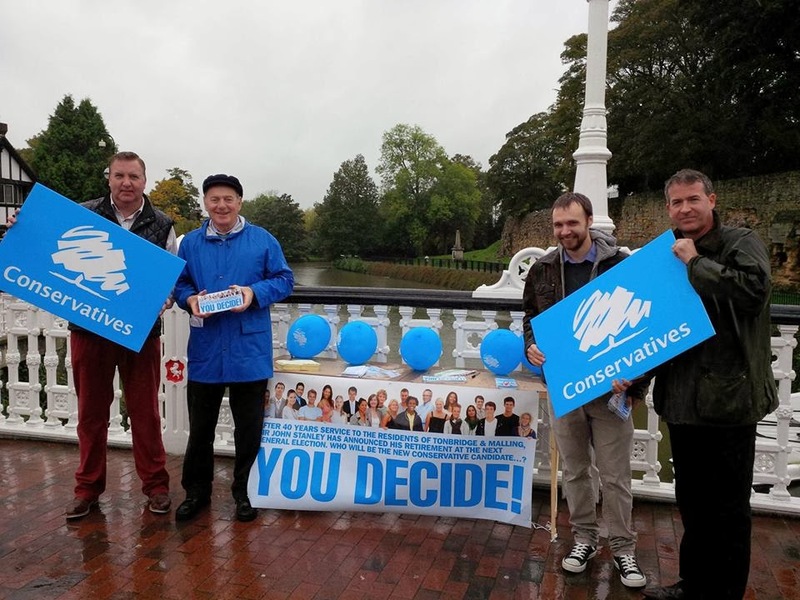 Each of our major towns and shopping centres will see a team of local Conservatives accompanied by two or three Parliamentary candidates, meeting & greeting residents and encouraging people to attend the Open Primary. West Kent Wage Slaves say "Let the People decide"
"Here is one we made earlier......" A simple visual guide to how it should look! I have had back to back meetings in London today, commencing at 10am at a fairly swish West End hotel with a major donor. Unfortunately I missed my train, as when I arrived a Chatham railway station there was just one parking space left, and two of us competing for it. The space was actually mine; the other car had gone past it when the driver realised there was nowhere else, slammed into reverse and headed backwards aggressively to cut me off. The air was blue and I was just about to tell the driver what I thought of him, when I noticed it was the former Bishop of Rochester, resplendent in ecclesiastical purple. I smiled deferentially, hoping he couldn't lip read. At Victoria I rushed for a taxi and tripped on a kerb. Fortunately I didn't fall, but the impact ripped the sole from my shoe, which then flapped with each step. Having delayed my meeting once I could hardly do so again, so no time to stop at a shoe shop or even buy superglue. The taxi driver took pity and gave me an elastic band, which I placed around my foot to stop the sole flapping as I walked. As I entered the 5* hotel, the elastic band broke, pinged across reception and my sole started shlapping on the marble floor, attracting disdainful glances from the concierge, who clearly thought I shouldn't be there. After a productive meeting I asked for bill, trying to look nonchalant when I noticed it was £14 (for two cups of coffee. I kid you not). By this time I was almost late for my next meeting in the Hampshire Hotel in Leicester Square, to discuss the Open Primary. Once again I shlapped across reception to withering looks from the pinched faced receptionist. The meeting went well and all the fine points were signed off. The highlight of this meeting was someone else paid for the coffee. As we left, one of those participating (and I will spare his blushes) spoke of a time he was invited to dinner with Ann Widdecombe. wrestling with a giant piece a meat." This revelation resulted in fits of playground giggles from the rest of us, made worse by the person who made the comment asking, "why are you laughing, I don't understand..." which just made us snigger even more. By this time it was piddling with rain and I didn't have a coat or an umbrella. So soaking wet and with my sole flapping in the wind, I headed off to Russell & Bromley in Regent Street where I bought a new pair of shoes, discarding the old ones in a dustbin. Next was a quick lunch at Randall & Aubin in Brewer Street with an old friend, before heading to Westminster, grateful that I didn't have to walk across Portcullis House with my sole shlapping as I went. in Pizza Express in Victoria Street, sitting at table in the window. Fortunately none turned up or they may have found themselves wearing a Sloppy Giuseppe! Several of our local councillors were bemused to receive an invitation from CAPITA Conferences, inviting them to a "National One Day Conference on Third Sector Commissioning." Wake-up at the back, boy! "As new commissioning partners begin to embed best practice within their organisations, now is the time to transform the commissioning process with the involvement of the VCSE sector in designing and delivering potential services. This conference showcases pioneering case studies on integrated commissioning, demonstrating social return on investment, creating transparent and collaborative processes and building capacity within the third sector to access outcome-based contracts." All for the bargain price of £350 per delegate. I am pleased to say that the fee does include a "sandwich lunch facilitating networking opportunities with other engagers in the VCSE sector." 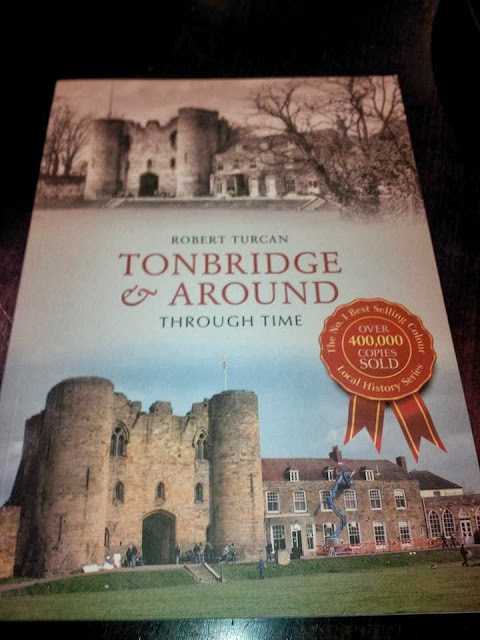 Hat-tip to Cllr Nicholas Rogers (Tunbridge Wells) for this gem. Similar examples of Third Sector psychobabble always welcome! 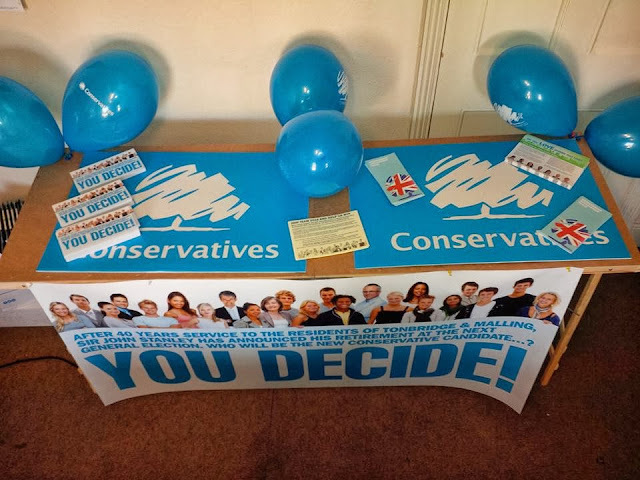 Regular readers of my blog will know I am passionate about renewing the Conservative Party's appeal to a new generation of supporters, but to also be open and inclusive, particularly towards younger voters who too often opt-out of the process and who think politics has nothing to do with them. I have ensured that every young person who will vote for the first time at the next GE has received a personal invitation to the Open Primary (over 3,000 of them!). Our latest initiative is to send invitations to the Head of 6th Form at the eight local comprehensive and grammar schools, encouraging their pupils to attend. 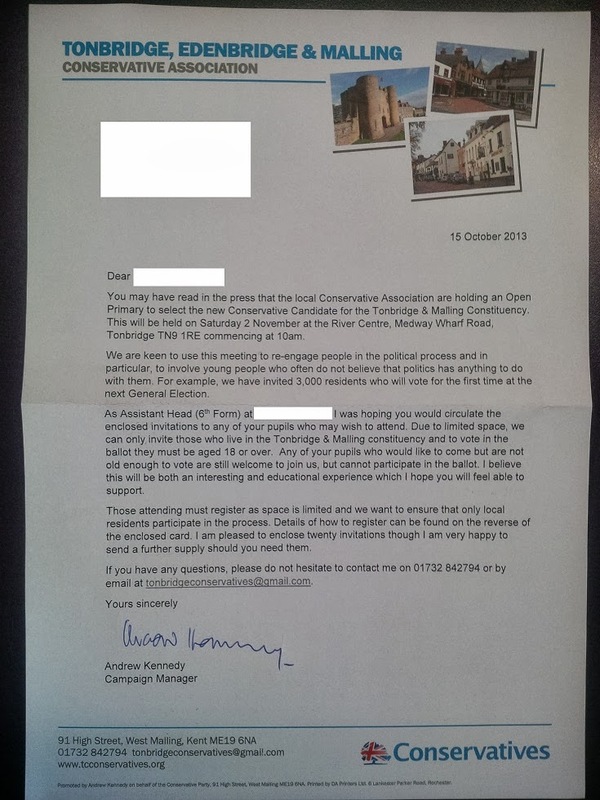 Through door-to-door delivery, email and direct mail, over 50,000 residents will have received a personal invitation to the Open Primary on 2 November. I really don't know what more we could do to widen participation and open the process. I am, however, very honoured to work for an Association which, having decided to hold an Open Primary, has been unstinting in its support for every idea and initiative I have put forward to ensure as many people as possible are involved in the process. Bring out your dusty old relics ! Auctioneers Bonhams will be attending a Valuation Day organised to Tunbridge Wells Conservative Ladies' Group. 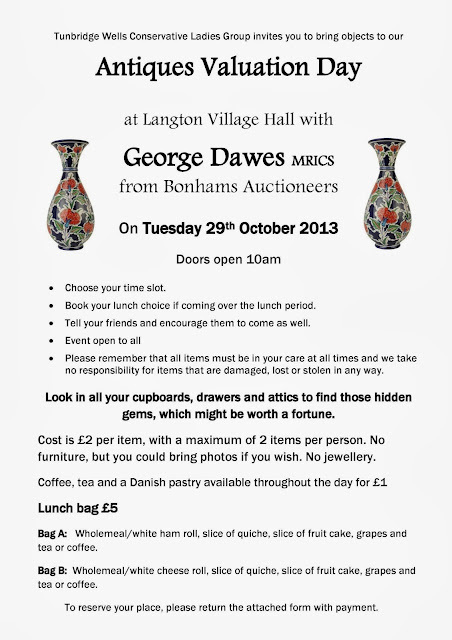 This will be held on Tuesday 29 October 2013 at Langton Green Village Hall from 10am. Members and guests may bring along two items to be valued (at £2 per item). Tea, coffee and pastries will be available all day as will lunch for those attending between 12 noon - 2pm. 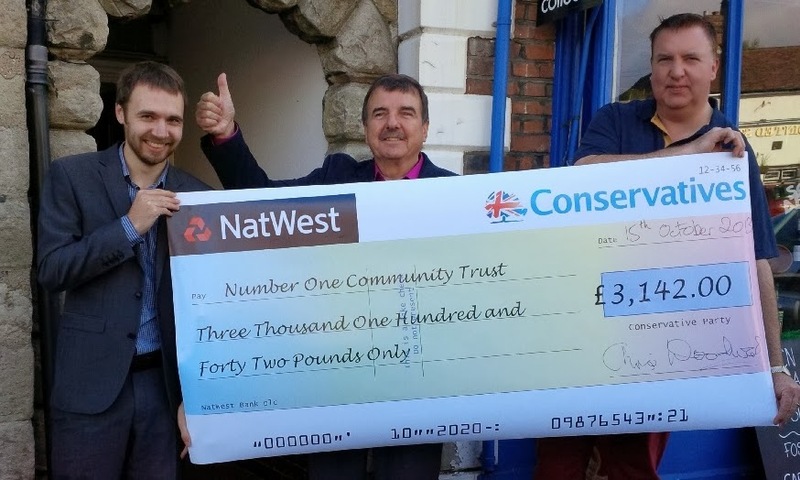 After months of hard work, selling tickets to Party members, family, friends and neighbours, including spending every Saturday for two months standing in local shopping centres and summer fetes, Chris raised an amazing £3142 - exceeding his target by £600. 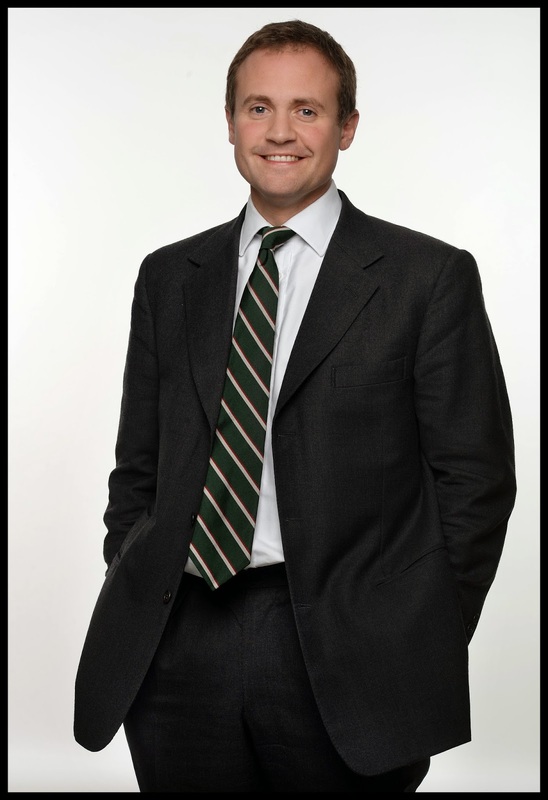 Rumour has it that MPs, Government and Cabinet colleagues started hiding from Greg Clark MP who also stalked the corridors of power, selling tickets to everyone he met in Whitehall ! 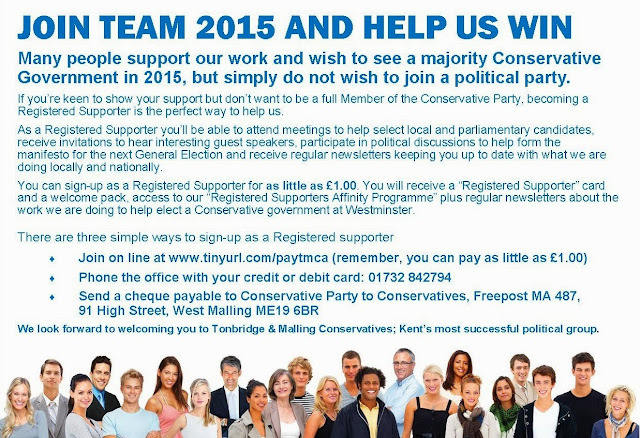 Although a personal initiative by Chris, Tunbridge Wells Conservatives were pleased to support this venture. We covered the cost of printing of the raffle tickets and all of the publicity material surrounding the raffle. Congratulations to Chris Woodward - a real example of a local councillor going "above and beyond the call of duty" for the people he represents. 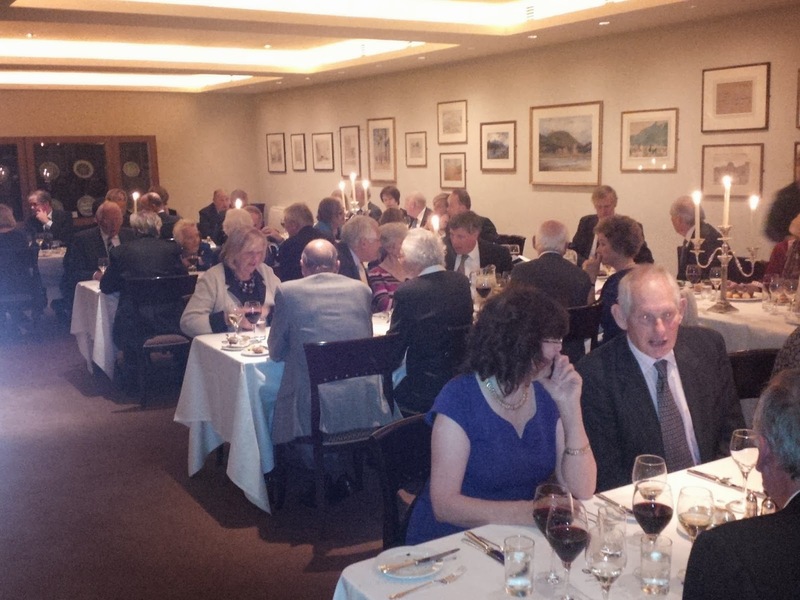 Last evening our three local Patrons' Clubs came together for their annual dinner. Each of the Patrons' Clubs (Tunbridge Wells, Tonbridge & Malling and Chatham & Aylesford) once held individual dinners, but with the advent of the West Kent Group it seemed sensible to combine these events, whilst retaining the individual identity and status of the Clubs (which also host other events throughout the year). 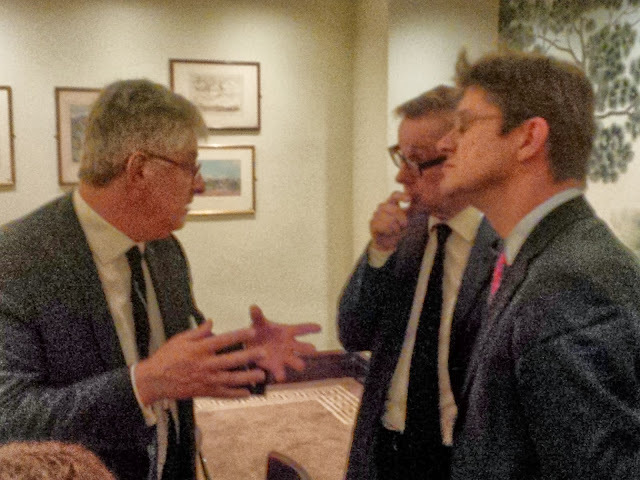 Last night's dinner in London was addressed by the Secretary of State for Education, Rt Hon Michael Gove MP, described by Greg Clark MP in his introduction as "beyond doubt the most effective member of the Government." Our Patrons' Clubs were established 30+ years ago, enable those who can afford to do so to offer enhanced financial support for the Association. Patrons are invited to a number of social events throughout the year, including a Summer Garden Party and the Annual Dinner, both addressed by a parliamentary speaker. Membership of the Patrons Club is £200 for a single member of £300 for joint members, and this includes Party subscription and covers the cost of tickets for the events. As an experiment to try and bring in that vital 18-25yo demographic, I am just sending this flyer to a sample group of 1,000. I will report progress! Despite being specifically asked not to seek feedback, many candidates have done so! I suspect this is understandable, and if I was in their shoes I would also like to know if I did anything wrong or what I could do better. The fact is, I am unable to give feedback, and even if I was I would not do so. The process was confidential and that must be respected. However, for the sake of transparency, here is how I have replied to all who have contacted me. As I explained in my email of Tuesday, I cannot give individual feedback. First of all, each member of the Sift Committee might have had different reasons for either rejecting an application or putting one through. I didn't ask what those reasons were, nor should I. I cannot therefore comment why people reached the decisions they did. I understand that the Head of Candidates at CCHQ is happy for me to direct specific enquiries to him. Looking at those shortlisted, there is no clear pattern. Some have long histories with the party as activists and some did not. Some has visited the constituency and helped with campaigning, others did not. Interestingly, those who tried hardest to get themselves noticed, tended to have poor support. I think this is an important lesson, especially in a seat like T&M; phoning, turning-up on members' doorsteps, buying tickets for every branch event and using them to network, all seemed to irritate people and in the end I believe it did more harm than good. It is interesting that neither the Sift Committee nor the Executive Council set themselves any quota, or even discussed the spread of applicants they would like to be offered. In fact, such discussions are specifically forbidden under the rules. Each member of the Sift Committee had to work independently and with no consultation or agreement with others. I was therefore pleased to see that of those applicants put forward for further consideration, 50% were women and around 20% were BME. The one attribute which I believe every successful applicant had in common was "leadership". Whether in the field of politics, business, community or charity work, each had clearly demonstrated a degree of outstanding leadership in his or her chosen field. In reply to your final point re CCHQ. Many have raised this, and on many blogs and websites there has been the usual background noise that "CCHQ will dictate what happens". I would like to nail this once and for all. 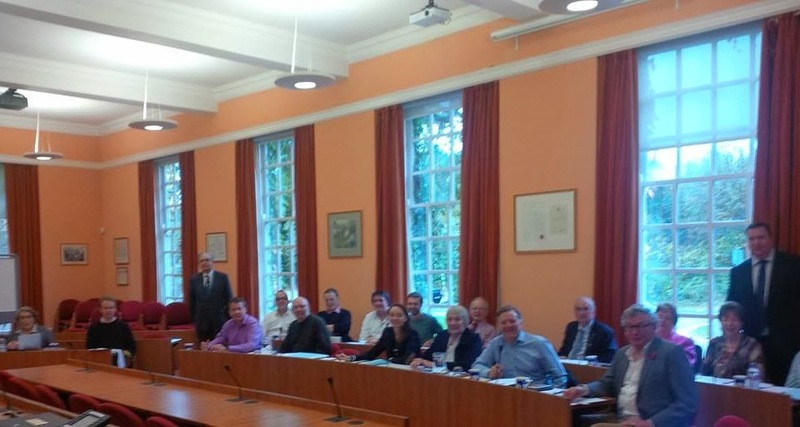 From our very first meeting with the Candidates' Team right up to meeting to select the shortlist last week, every decision has been made by the Association. The timetable put forward by our Chairman was accepted. The proposal to hold an Open Primary came from me, the Management Committee supported it unanimously and over 95% of the Executive Council voted for it. We saw all the applicants' CVs. Yes, clearly when we had many applicants chasing 10 interview places not all could go through, but the decision to put people through or not was taken by the Sift Committee. We did have an issue with the final two places as there were 20 candidates "tied" and we went through round after round of voting to narrow the field. When we finally reached three applicants for the final two places, it was clear that we were at stalemate; so to be fair we increased the number being interviewed and put all three through. I hope this is in some way helpful. As I have said to every candidate who has asked, I cannot and will not give personal feedback as it simply isn't possible to do so. Nor, I trust, will individual members of the Sift Committee. However, I believe the above principles are an accurate reflection of how the Association approached the selection and shortlisting process. 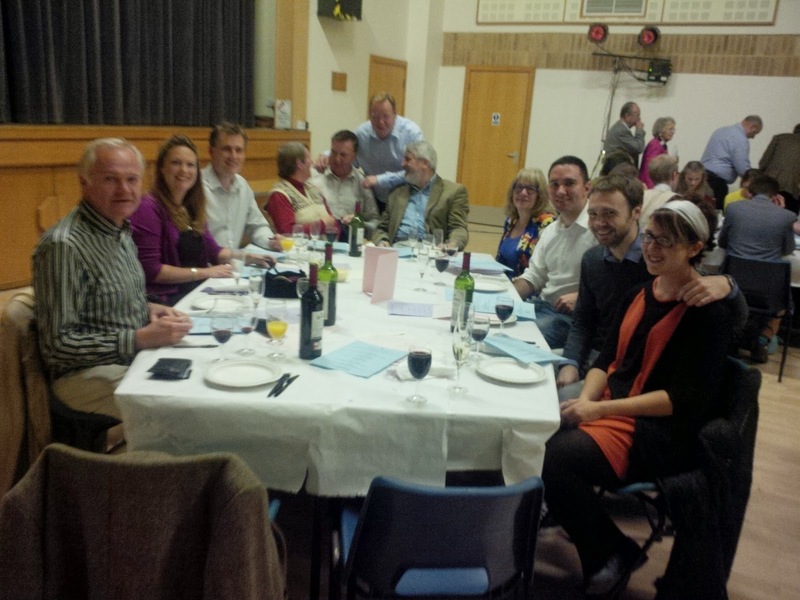 The third and final political activity of Saturday was the Leybourne and West Malling annual branch dinner, with guest of honour, journalist and former ITN newscaster, Sandy Gall. The invitation to Mr Gall came about purely by chance; I was delivering voter surveys in one of our rural villages, and noticed the name on one envelope was Alexander Gall. 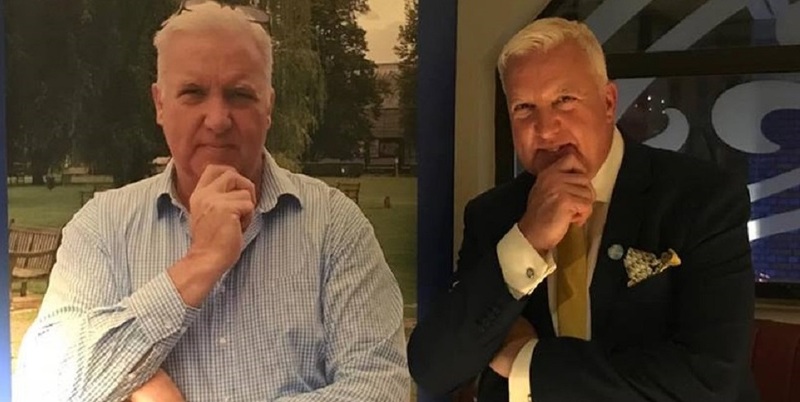 Curiosity got the better of me, and when I stopped at the local pub for coffee I enquired if the Alexander Gall was in fact the Sandy Gall of ITN fame, which the landlord confirmed. The following day I wrote to him, asking if he would consider speaking at a fund raising dinner for the Association. Three weeks went by without reply, during which time I was increasing "ribbed" by Jon Botten for my optimism. "Still nothing from your friend, Mr Gall", or "he's clearly ignoring your advances, Andrew" then "He obviously thinks you are barking mad and wants nothing to do with you" and so on. Then one day, a lovely hand written reply, apologising for the delay in responding as he had been away in Afghanistan on behalf of his charity. The lesson we should all learn; whether approaching world famous journalists to speak at fund raising events or enquiring if pledges will deliver 100 leaflets - if you don't ask you don't get! 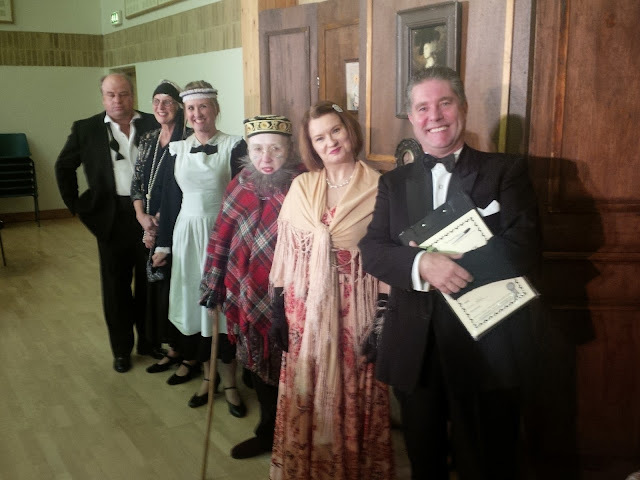 The Tunbridge Wells Management Committee hosted Murder at the Manor this evening, a professionally acted Murder Mystery play with supper. The event was the brainchild of our outstanding Deputy Chairman Fundraising, Judith Bullett, ably supported by Alexine Bullett and her Vice Chairman, Susan Potter. The theatre company "Company Upfront" provided a first rate production, and brought their own props, lighting and sound. See HERE. They cost just under £1000 to book, which made a dent in the profits, but considering they were a team of six, who were with us for 5 hours, it was far from excessive. It was a super, fun evening - and made a refreshing change from the usual round of political suppers, cheese and wine parties and quiz nights which are the staple Association events. Here are a few photographs to whet the appetite! It's never too soon to teach a young political activist how to plunge a knife into someone's back. The Actors take the applause! The slightly mad sister (dressed in pink) did it. Team Team Crouch were on the doorsteps of Ditton this morning, inviting residents to participate in our rolling opinion survey. I am always amused when I read politicians on Twitter or Facebook; regardless of party they always have an "amazing response" on the dooorsteps. At least my old sparing partner in C&A Labour, Vince Maple, is more honest. He posted on Twitter that he had met a lady in Walderslade who was voting for the local Socialist candidate as he was "a good looking boy". I just hope for the lady's sake that she never has to set eyes on the picture he keeps locked away in his attic. We should celebrate diversity, not fear it. "I don't know why you agents are all so rude..."